Posted on August 21, 2012 by Julia	by Julia. I’m not sure anything that’s $1,395 million could truly be called a “cottage” but it sure is cute isn’t it? “At first glance, this cottage in Carmel, California, looks like it could be one of Hugh Comstock’s Fairytale Cottages, so I was surprised to learn that it’s much newer, built in 1992. Comstock was building his charming little houses, with names like Hansel and Gretel, back in the 1920s. 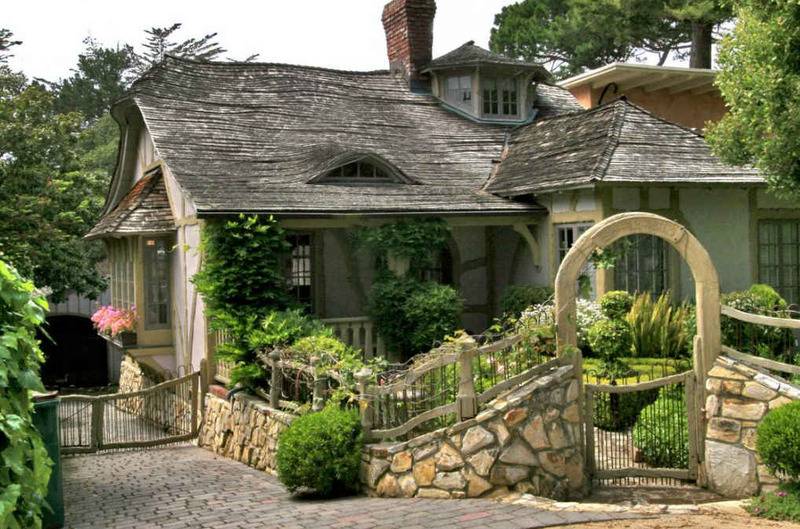 via Lilacs & Laughter: A Cottage For Sale in Carmel-by-the-Sea.